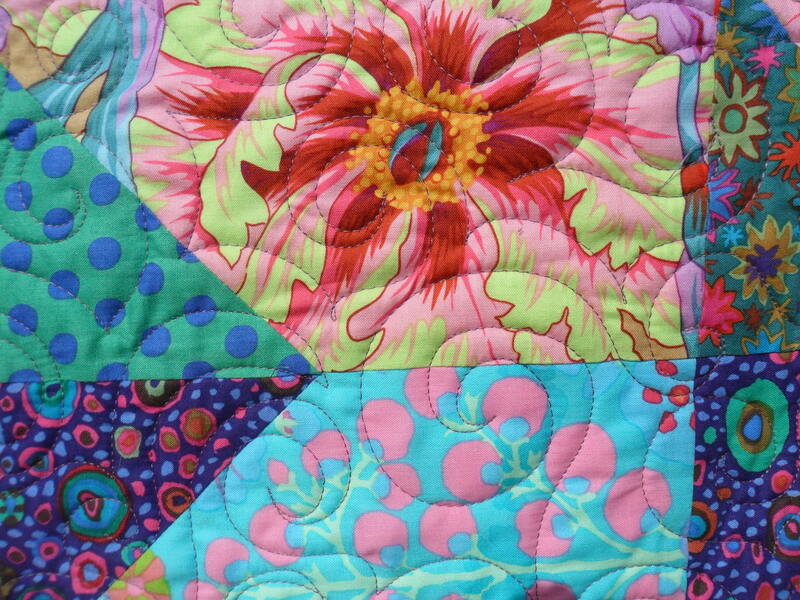 A fun and colourful baby quilt custom made for a client in London. 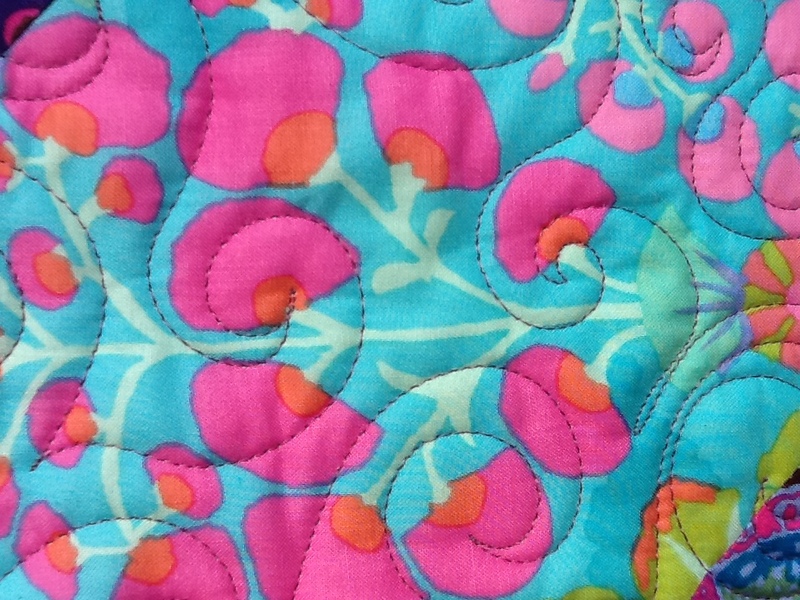 Free – motion quilted with relaxed swirls making the quilt very soft and cuddly. 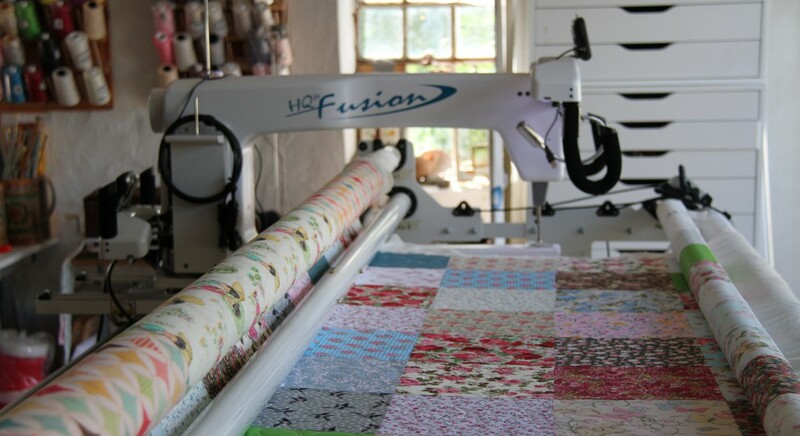 Its important to me that I make or quilt quilts that are 100% usable, I think that there is nothing better being able to snuggle up in a handmade quilt, something that will go on giving for years to come. 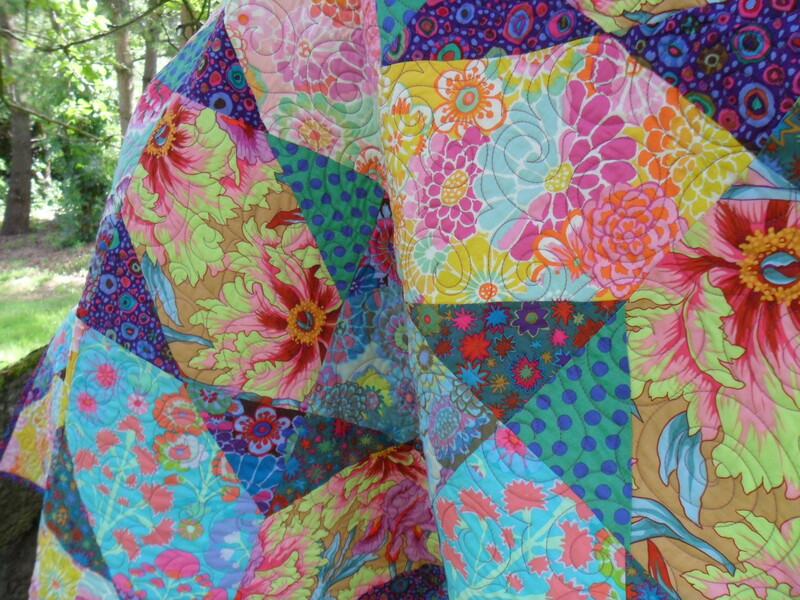 < DAISY, THE QUILT THAT STARTED IT ALL!